Neither hardware nor software providers like to hear it: disaster involving a computer being fully down, crashing, or no longer accessible still happens – and, unfortunately, not too rarely. The Ransomware attack from “Wanna Cry” infected more than 120,000 PCs within mere hours! 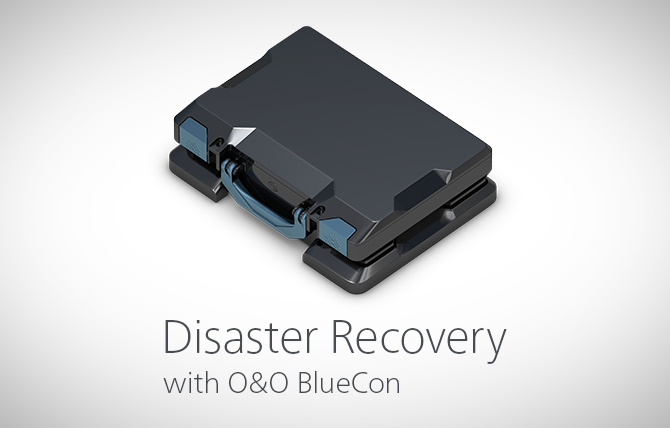 O&O BlueCon is a high-performance collection of comprehensive tools to get damaged Windows systems up and running again with no new installation required. A blue screen usually means a lot of work for administrators. When things get really bad, there’s no other choice but to configure a new system setup. And this is where O&O BlueCon comes in. O&O BlueCon is at an administrator’s side during the course of a daily routine as well as whenever disaster strikes. Based on Windows PE, it offers a wide range of programs for, among other things, repairing systems, searching and correcting errors, restoring lost data, resetting passwords, and the list goes on. Our Whitepaper will explain why such situations not only put limitations on business operations but also contribute to higher costs. It will show how O&O BlueCon can help those responsible for IT services resolve any such problems quickly, securely, and dependably. IT Manager Thomas Bär and freelance journalist Frank-Michael Schlede started writing together at the beginning of 2010, after more than ten years of being jointly involved in a number of successful projects. Thomas Bär has been active in IT since the end of the 1990’s and has been a freelance IT trade journalist since the early 2000’s. Frank-Michael Schlede has been an IT freelance journalist since 2010. His main focus is on Windows systems and programs, networks, virtualization, and security. He was previously active as an Editor/Chief Editor for a number of publishing houses.